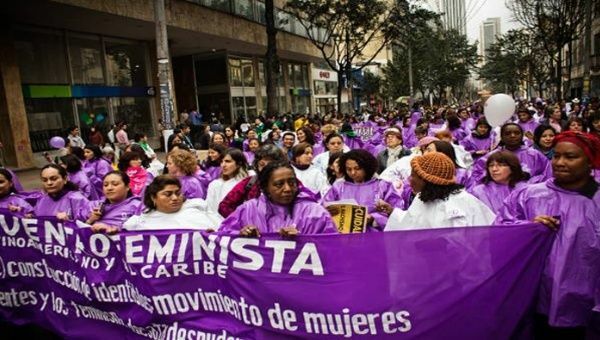 The Latin American and Caribbean Feminist Encuentros are gatherings of feminists from the region that have been taking place in different countries every two or three years since 1981. The Encuentros are an opportunity to meet and exchange ideas and perspectives, identify problems that affect women’s rights and to develop and share feminist practices. They have become opportunities to outline alternative feminist visions for the future and to assess the growth and strength of feminist organizing in the LAC region. Issues addressed have ranged from political, economic, cultural, human rights and social issues to dealing with diversity of class, ethnicity, racism and the impact of globalization in the region. Participants at the First Encuentro (Bogota, Colombia 1981) declared November 25 as Dia de La No Violencia Contra La Mujer (Day Against Violence Against Women). This date was chosen because it commemorates the deaths in 1960 of the three Mirabal sisters who were tortured, raped, and killed by the police for their opposition to the Trujillo regime in the Dominican Republic. November 25 was later adopted by women in other countries as the Day against Violence including by the 16 Days of Activism against Gender-Based Violence Campaign that was established in 1991, and eventually by the UN in 1999.